Could you win a Catch Up® Excellence Award? 8th July 2014 - Could you win a Catch Up® Excellence Award? 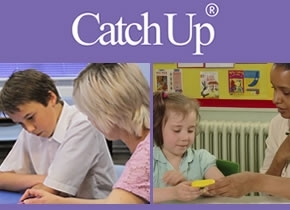 Last year, we launched the Catch Up® Excellence Awards, designed to recognise and celebrate learner achievements based on the successful implementation of the Catch Up® Literacy and Catch Up® Numeracy interventions. By telling us how they manage the interventions and sharing their best success stories, nearly 40 schools have already won a Bronze, Silver or Gold Excellence Award! Find out more, read award entries and enter - visit our Excellence Awards web pages!